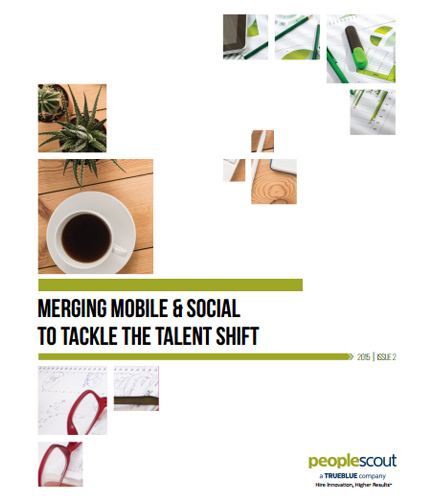 "Merging mobile & social platforms to Tackle the Talent Shift"
To tackle the talent shift, the marketplace has begun to scratch the proverbial surface of possibilities around merging social media and mobility as there are uncharted methods waiting to be uncovered. The current talent landscape is rapidly changing to include more young people and “sophisticated jobseekers” that are well versed in today’s mobile technology, and employers must be aware of mobile methods of job-hunting if they wish to recruit these valuable tech-savy individuals. The recruiting market is full of new talent who are well versed in today's mobile and social technology. Learn how to attract them using these strategies and the methods that bridge the mobile-social gap.